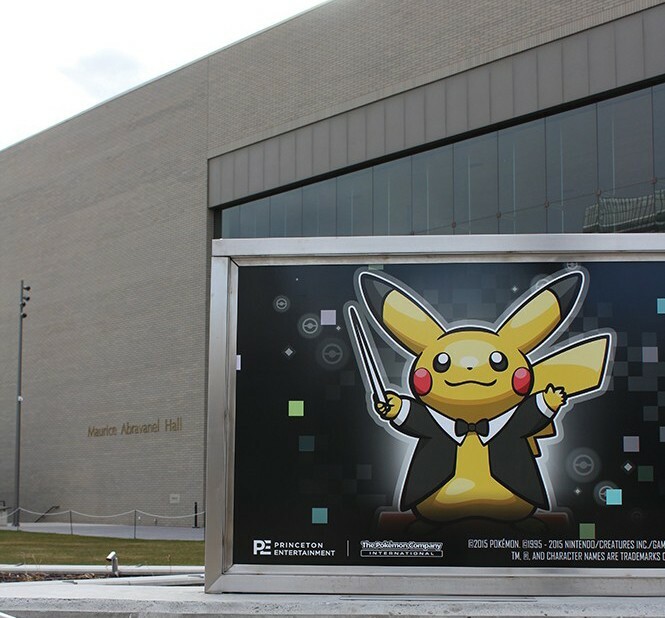 Pokémon and Harry Potter are among the ways for Utah Symphony to attract a fresher audience. A symphony hall has long been a place for listeners to find Beethoven, Brahms, Mozart and Mahler. It's a new twist to find Harry Potter and Pikachu there as well. As is true for many arts organizations in Utah and around the country, audience development is a challenge for Utah Symphony and Utah Opera. While older patrons fill the seats for performances focused around great works from the symphonic canon, there's a need to bring new blood into Abravanel Hall. As part of that effort, USUO has created a new series of performances for the 2017-2018 season with the symphony playing the orchestral score to accompany movies projected onto a screen in the hall, inspired by the sell-out success of this season's Harry Potter and the Sorcerer's Stone performances. That's in addition to other special performances appealing to a less traditional symphony audience, like this week's Pokémon: Symphonic Evolution, showcasing music from recent and classic Pokémon video games. "There are certain things that are absolutely central to our mission: The Masterworks series, the opera, the education programming," says Paul Meecham, president and CEO of USUO. "Those are the truly central parts of our scheduling. But we look at how we want to diversify and broaden our audience, I think we have to open more doors. There are different kinds of things that can become your first experience with the symphony or the opera." The new "Films in Concert" season series includes four titles that take advantage of recent technology that digitally removes the orchestral soundtrack from movies, and allows live orchestra to provide the accompaniment. Raiders of the Lost Ark opens the series in September, with Tim Burton's The Nightmare Before Christmas in October, a continuation of a planned full Harry Potter cycle with Harry Potter and the Chamber of Secrets in December, and High Noon in February (the latter commissioned specifically by USUO, in conjunction with a Western-themed art exhibition at the Utah Museum of Fine Arts). "There are agencies that are developing new product for symphony orchestras, and the best ones are the ones that are in tune with what new and younger audiences are into," Meecham says. "But again, it goes back to the music. This is mission driven, because it is great orchestral music. It just happens to have originally been written to accompany movies, but it stands up on its own very well." The shift to include such programs is a recognition that the reality of keeping a symphony orchestra running has changed. Just 10 years ago, in the 2007-2008 season, the Utah Symphony was still including chamber music performances as part of its season. While Meecham was not in his current position with USUO at that time, he understands the circumstances that might have driven the decision. "I think there were a number of things that were stopped as a result of the economic recession," Meecham says, "not because they were things we thought weren't important, but simply economically some hard decisions had to be made. When you've got these talented musicians, you've got to figure out how their talents can be shared in multiple different ways. Adding these extra things, like the movies, has really been a challenge in finding the time in their schedule." Additionally, these "Films in Concert" shows present unique logistical and artistic challenges—especially for a venue like Abravanel Hall that was not built with a sound booth or infrastructure to show movies. Fortunately, new advancements in laser projection—much quieter than the lamp projectors—allowed for the purchase of the necessary equipment without tearing out seats to build a sound-proof encasement, and a cost that was less than a year of renting the old projectors. As for the musicians themselves, Meecham says, "The conductor has to have a monitor right in front ... to ensure that the orchestra is in synchronicity with the movies. From the minus side, it takes away some of the individual expression that the musicians can typically have in a concert; it has to be absolutely on time. The plus side is, the precision sounds absolutely amazing. If there's a sound effect, and the orchestra is right on it, it really is very powerful." Initial feedback for these performances has been enthusiastically favorable, and Meecham says that he's heard no complaints from long-time subscribers, since the Masterworks program hasn't been diminished to accommodate these additional performances. Whether the music at hand is Prokofiev, Potter or Pokémon, it remains part of a single mission to showcase great orchestral music, even if that music was first written to accompany the adventures of a boy wizard, or a little yellow electricity-shooting creature. "Will we convert first-time Harry Potter attenders to Beethoven attenders?" Meecham asks. "Probably not, but I think it's a matter of getting them used to a live experience with an orchestra, which for many, it's the first time ever. We're getting them to be more comfortable with the idea that it's ... perhaps less stuffy than they had a perception."